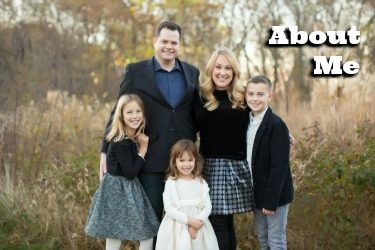 Jennifer Chambers is the founder of Hiking Along, the local educational outdoor hiking guide business which leads families, scouts, schools and other groups on informative and inspiring hikes in our area. 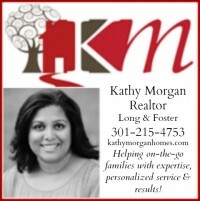 Chambers has contributed great pieces to A Parent in Silver Spring over the years, from pieces on hikes to celebrate Earth Day to family hiking basics, and she is a prolific blogger on her Hiking Along blog. Chambers has written a guide book for family hikes throughout the Washington, DC area! Best Hikes with Kids: Washington, DC, the Beltway and Beyond is a required addition to the libraries of local parents. The book is stocked with all the trails conducive to kids’ outdoor learning in the District, Maryland (within two hours of DC,) four counties of Northern Virginia and Shenandoah National Park. Each hike and family outing described is packed with information. For each hike Chambers provides driving directions, hiking difficulty, length of the trail and family-friendly features such as picnic areas and playgrounds. A mother herself, she has parents’ needs in mind, providing an exhaustive overview of family hiking essentials, and key information such as whether trails are jogging-stroller friendly. My kids Charlie and Eve have already dogeared the copy Chambers gave to us (thanks Jennifer for dropping by our house!) Charlie has bookmarked the trails he would like to try on upcoming weekends, and Eve loves reading the breakout sections about the native wildlife that Chambers helpfully provides throughout. As a pretty novice hiker, I love how Chambers decodes hiking insider terms and as a nervous nelly, I appreciate how she provides a detailed description of each trek in its entirety. 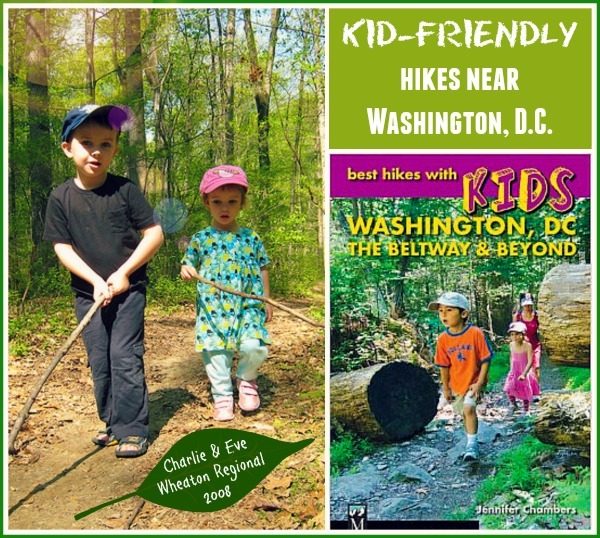 You can get Best Hikes with Kids: Washington, DC, the Beltway and Beyond on Amazon for just $15 in paperback. It is available on Kindle too, but I recommend the paperback for easy on-the-trail reference. And one lucky reader will win his or her very own copy, courtesy of the author herself. To be entered to win, fill out the Rafflecopter form below. One reader will be randomly drawn from all forms of entry and then mailed the prize. Our favorite local hiking spot is Burke Lake Park in NoVA. It’s a few miles around a lake, with gorgeous scenery and lots of animals. Family hiking is one of our favorite activities. Rock Creek Park is a favorite spot! My kids love Great Falls. We like hiking at Seneca Creek State Park in Germantown. My favorite trail snakes through Sligo Creek and behind Northwest HS. We love the Billy Goat Trail, especially trails b & c which are not so steep! We haven’t tried family hiking yet, but I’d love to get started! Seems like this book would be a great resource. Oh I would love to know our local trails better! We love the Billy Goat Trail and Bull Run Mountain in Virginia. So many great places to hike in the area. Great Falls, Shenandohah, Cunningham Falls, Sugar Loaf and Patuxent River State Park are some that we have tried and enjoyed. Usually <2 miles at a time. Often with 2 packs with 2 kids in them and one on foot. Also the Cedar Swamp, Flag Ponds Nature Park and Calvert Clliffs in Calvert County are different and close to each other. Nice short hikes are aplenty. We love Great Falls and Rock Creek and are excited to know other trails!